Pflieger, S., Blanchet, S., Meziadi, C., Richard, M. M., Thareau, V., Mary, F., Mazoyer, C. and Geffroy, V. (2014). The "one-step" Bean pod mottle virus (BPMV)-derived vector is a functional genomics tool for efficient overexpression of heterologous protein, virus-induced gene silencing and genetic mapping of BPMV R-gene in common bean (Phaseolus vulgaris L.). 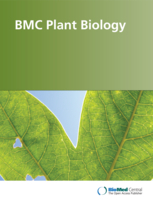 BMC Plant Biol 14: 232. Pflieger, S., Richard, M. M., Blanchet, S., Meziadi, C. and Geffroy, V. (2013). VIGS technology: an attractive tool for functional genomics studies in legumes. Functional Plant Biology 40(12): 1234-1248. Hello Stéphanie, does this need to inoculate two leaves in one plant? If I had inoculated one leaf in one plant , what's wrong will happen? Hello Stéphanie, thank you very much! I hope one day to have the opportunity to learn more from you and communicate with you!! We always inoculate one primary leaf of one plant. We have tested inoculation of the two primary leaves but this does not improve the infection rate. Good luck with your experiments and don't hesitate to ask me any other questions if needed.